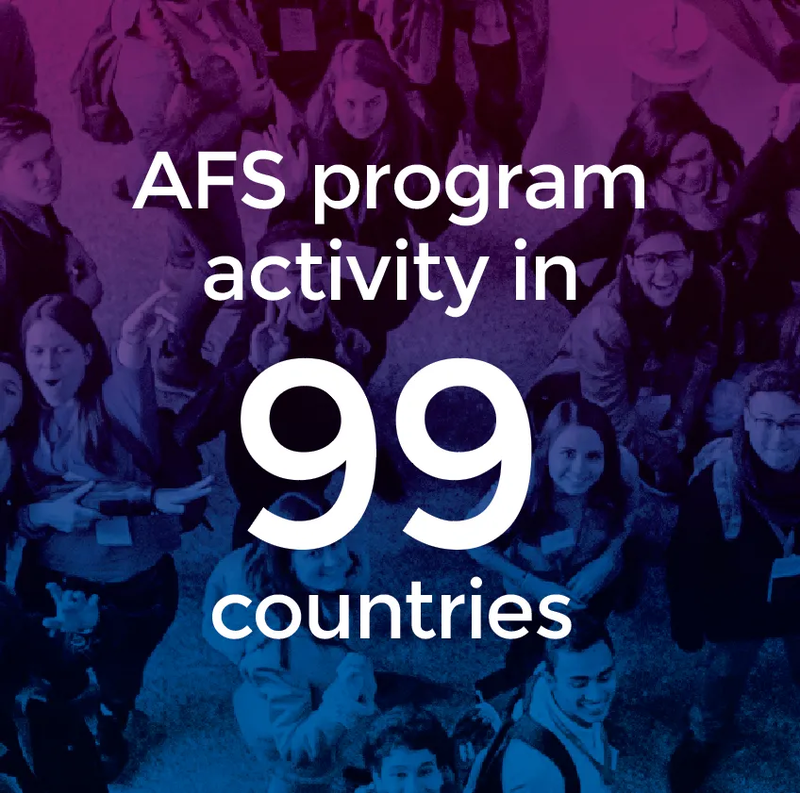 AFS prepares and activates future leaders, global citizens and changemakers with essential 21st century intercultural skills to engage, lead and collaborate effectively in different cultural settings. Our international exchange, study abroad and volunteer programmes are supported by research-based intercultural learning journeys facilitated by trained AFS volunteers and staff. 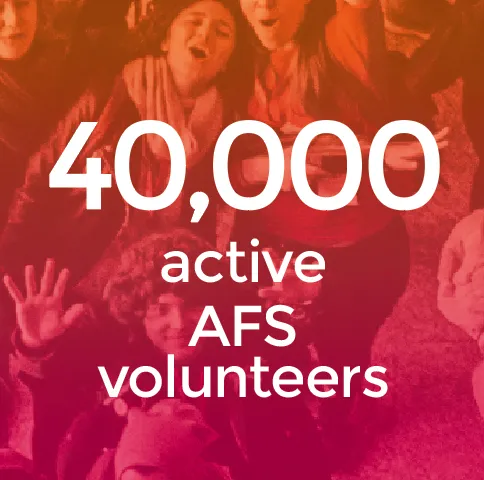 AFS local volunteers are the driving force of AFS programmes and active at all levels—supporting students and families through their AFS intercultural journeys, participating in governance and policy development and leading social impact projects with local schools and communities. Multigenerational: A global community of students, young adults, volunteers, families, educators, alumni, and staff engaged and energised – working together. Be inspired by outstanding AFS alumni demonstrating the power of the #AFSeffect. 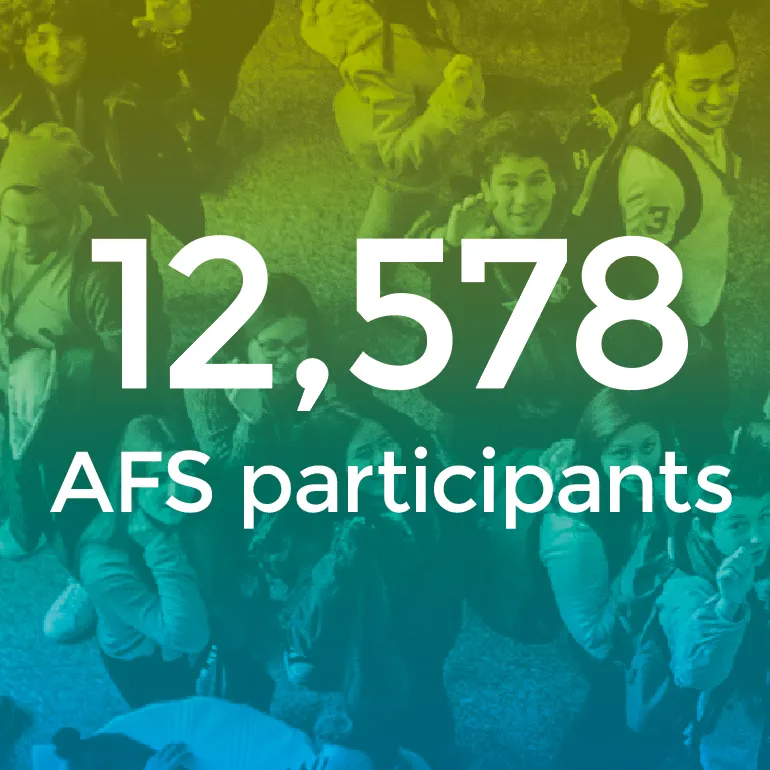 AFS has more than 1 million alumni (former participants, volunteers, host families and staff) around the world. Click the “Learn More” button if you are interested in reconnecting with AFS or want to find out more about AFS alumni activities.